I wrote this article yesterday afternoon (Monday 5/15), then did my final edit about 9:30pm. Yeah, then I woke up at 4am…worried. I was worried that the article was too “alarmist” in tone. I mean I am claiming WWIII to have started, that a Civil War is taking place, and our President is in the process of being overthrown by the ruling class. Nah! That’s not alarmist at all…right! So I laid there in bed and thought it through. You either believe me because I have proven myself to be pretty dang accurate in what I publish. Or, you will dismiss what you read because you think I am making stuff up. 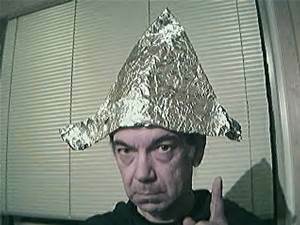 Then again, you might think I am a card-carrying tinfoil hat kind of person. But, what hit me the most…I have to put this out there. I know I am right. I might not have each detail exactly right, maybe I am not spot-on about each person, and I probably am off on timelines. But, I know that I am connecting the dots correctly. So I am a voice of warning. What you do with that warning is up to you. So here is the challenge…prove me wrong. Yup, don’t believe a single word I print in this article, or any other. Rather, try and find valid and reliable information that proves me wrong, that what I am saying is not true. Because in the final analysis you are responsible for yourself and your family. I am only be a voice of warning. And I am perfectly OK with that. Here we go…the situation in the world and in the USA has just ratcheted up another notch. We have some serious problems facing us right now. There are dark forces at work right now in this country. Forces that would like to see nothing less than the Constitution being destroyed…completely destroyed. I personally caught the Trump White House lying…clearly and unequivocally lying. And I can prove it. Russia interfered in our 2016 presidential elections. Trump colluded with Russia in that interference. Russia is assaulting our governmental institutions (i.e. an act of war). Trump is assaulting our governmental institutions (eroding the Constitutional system of checks & balances) from inside the White House (act of treason). Trump worked with, and gave a victory to, Russia when he fired James Comey. He repeatedly perjured himself in Congressional hearings. All of which are felonies. He repeatedly lied to the American public through statements and press releases. He led the intelligence services to illegally and unconstitutionally acquire communications of regular Americans through massive acquisitions of all electronic communications. He illegally authorized the “unmasking” of persons to the Obama administration for purely political purposes. Estimates are in the 2000 persons range. All of which were felonies. 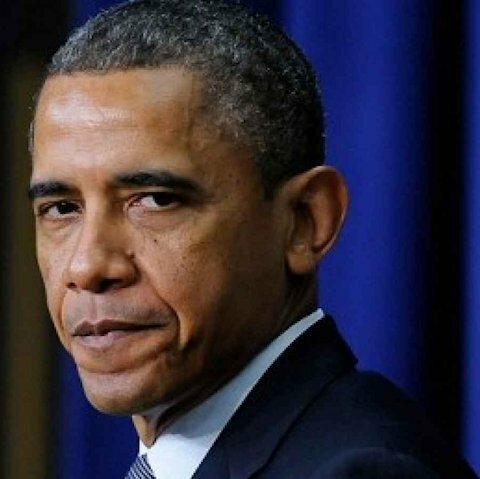 He illegally authorized intelligence services to unconstitutionally conduct surveillance operations on members of Congress, both Representatives and Senators. Clapper is a slimy dirt bag that is actively attempting, in conjunction with others, to overthrow the President of the United States. We know that Comey was, and still is, working to oust Trump from office. We know that Comey was a highly politicized appointee by Obama working directly for Obama’s political agenda. We know that Comey used the FBI in coordination with the IRS against Tea Party and other conservative and constitutional non-profits. Yes, multiple felonies. We know Comey perjured himself in Congressional hearings. Once again, felonies. We know that Comey worked for AG Loretta Lynch. And after Lynch met privately with Bill Clinton is when Comey announced that although Hillary Clinton repeatedly committed multiple felonies, including national security violations, that Hillary would not be charged. This is the same Comey that had threatened Apple Computer to give the FBI unfettered access to all Apple devices regardless of country or the legality. We know that Comey illegally used intelligence and electronic communications that were illegally acquired by the NSA. Comey is another slimy dirt bag that is actively attempting, in conjunction with others, to overthrow the President of the United States. We are now entering a period of critical mass. We have the Democrats in an all-out assault on the Trump Presidency. You now have multiple Congressional Dems calling for the immediate impeachment of Trump. You see sleaze bag Liberal/Progressives like John McCain (so-called Republican) joining the battle to overthrow Trump. The media is obviously all in for overthrowing Trump. This coup is real and continuing to grow. Now that they are building and strengthening the case of “Trump & Russia against the United States” you will see more calls from both sides of the political aisle for a special investigation and prosecutor to probe that connection. And they will find enough…I am not sure exactly what, but they will find enough. And possibly, very possibly, it will accurate and real. Remember General Michael Flynn? He has made it easy to link Trump to Russia through his highly suspect actions and financial dealings. Guilty or not he has added gasoline to the fire. They have been illegally collecting all electronic communications and information on all Americans for over 10 years. And the whole time they’ve been denying it. However, all the information and documents released over the last two years through investigations and document leaks makes it clear they have been lying to us and to Congress all along. The FBI, in conjunction with the IRS, illegally worked to suppress conservatives, Tea Party groups, and Constitution advocate groups. This is not just illegal but irrefutably unconstitutional…an outright act of treason. We know the FBI has a long history of political influencing via blackmail and extortion of politicians and even Presidents. We know that the CIA has been working clandestinely to influence elections around the world for over five decades. We know that the CIA has violently overthrown governments around the world, including assignations of sovereign leaders. We know that the NSA and FBI have undertaken a systematic abuse of the FISA court to otherwise illegally obtain intelligence information of US citizens. We know that the NSA and the FBI have intimidated and extorted cooperation of technology companies to provide massive amounts of data on regular US citizens that would otherwise be illegal to obtain. We know that the NSA and the FBI has intimidated and extorted cooperation of technology companies to provide “backdoor” access to their software and electronic devices. We know the source of last week’s world-wide cyber-attacks was done with malware developed by the NSA. And the list could go on and on and on. The point is we know beyond any shadow of a doubt that America’s secret police are working against the interests of American citizens. We know for absolute fact that they are breaking the law and their actions are also without question unconstitutional. We know for 100% certainty that they are lying about it to not just the American public, but committing perjury (felonies) when testifying in front of Congress. Yet, they continue to operate with impunity! There are actually two questions here; 1) Why are they doing it to begin with? 2) Why aren’t they being stopped? The first question is an easy one…America’s secret police is committing these treasonous actions because they support the establishment of a police state, a totalitarian government, and are actively working to assist in its establishment. To overthrow the Constitution they must subdue the citizens and silence all opposition. Their actions prove their intentions. The second question is almost as easy, just a little more complicated…America’s secret police can’t be stopped because of their immense power…we are talking serious life and death kind of power. And combined with that are their powerful co-conspirators that are in the government establishment (i.e. political class). And we know that the secret police answer to the ruling class (i.e. Clapper, Comey, Clintons, Bushes, etc.). Hence, the secret police are doing what all secret police have done throughout history…acquired power, abused power, subdued the population, silenced the opposition, and supported the ruling elites. I am sure by now you have heard some rumblings about WWIII in more alternative and mainstream outlets. I am here to tell you the war has started…yes, it has already started! Asymmetrical warfare is a concept of making war on your enemy in multiple ways, from multiple directions; quick and nimble tactics from unsuspected directions. It is unconventional warfare. It is designed to throw your enemy off-balance and not allow them a clear path of response. Russia attacked us when they hacked political operations during the 2016 presidential campaign. 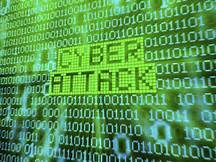 Russia and her agents are behind multiple cyber-attacks against the US and our allies as recently as last week. Russia has openly challenged the US militarily with armed fighters vs. our intelligence gathering aircraft. Russia continues to challenge US sovereignty by air and naval intrusions of US controlled airspace and water. The challenges have been both intelligence gathering and strategic aircraft, submarines, and intelligence gathering ships. China has used North Korea to militarily destabilize the Asian Rim area in direct opposition to American interests. China hacked US government computers systems repeatedly in the last couple of years. These were massive breeches and data acquisition. China continues to openly and directly challenge the US by establishing military bases in contested China Sea areas. North Korea has used military intimidation against her neighbors, especially South Korea and Japan (US allies) directly challenging the military interests of the US. North Korea continues to openly challenge the US politically and militarily with the testing of ballistic missiles and nuclear weapons. North Korea has placed two military satellites strategically over the US. Intelligence reports have confirmed that these satellites appear to be, and are highly likely, capable of EMP strikes. Iran continues to regularly challenge the US militarily in the Middle East, primarily minor naval operations. They even captured two naval vessels and briefly held US sailors prisoner. Iran continues to build its nuclear capability. The increased capability of Iran’s on-going nuclear program was financed through cash payments by President Obama directly to Iran via pallets of cash delivered by private jet. Iran has armed and is using puppet states to combat US interests through international terrorism. And the list goes on. We are in a de facto state of war. Mostly so far it is a cyber war, one we are losing. There are some limited military operations, none of which have gone to a state of open engagement…yet. But, here is the main point…one that should gravely concern you…we have all these international players openly working against us in a virtual war, but we also have all the internal political players at war against the Constitution…at war with the American ideal…at war against the American dream of our Founding Fathers. Clapper even openly stated that our institutions are being assaulted from external and internal enemies. He correctly identified the external enemies (i.e. 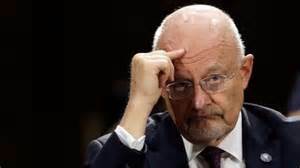 Russia), but he is attempting yet another deception against us, a lie of biblical proportions…he, James Clapper, is part of the internal assault. Actually he is part of the leadership assaulting our country, assaulting our President, and most importantly…assaulting our Constitutional Republic. Clapper, along with Comey and others, are traitors…in my mind they have committed treason. We are in a World War…a coalition of countries – Russia, China, Iran, North Korea, and Syria – are engaged in asymmetrical warfare against the United States of America. We are in a Civil War…a coalition of the ruling/political class along with the elites are engaged in political warfare to overthrow the President of the United States and bring down the United States of America as a constitutional republic and replace with it with a totalitarian state. And we are losing both wars. The Trump administration released a statement on Monday (5/15) that the recent cyber-attacks (last week and Monday) didn’t affect any US government computer systems. That is a lie! I have personal firsthand knowledge that the cyber-attacks last week brought down the largest federal emergency resources dispatch website five days ago. And it was still down as of late Monday morning. I also have personal firsthand knowledge that multiple cyber-attacks were mounted against, and impacted, the Department of Interior’s entire computer and email systems last week. And there is still some residual affect as of Monday (5/15). And who knows how many other Departments and Agencies were attacked. So, ask yourself…Why would the Trump administration lie about government computers being cyber-attacked? Once again I am informing my website visitors that we are in some very tough times. On any given morning we could find ourselves in an open state of a shooting war in the world…or in a brutal and violent civil war started by those that wish to destroy America. Is this credible? Test me on it. Look back over the last 2-1/2 years and the information I’ve been putting out about our government, the coup, the secret police, the people like Comey and Clapper…all of it. I’ve been right all along. And I am right now. I urge you to continue to prepare. But, I also just as fervently urge you to not panic. There is no need to. The wars that are taking place right now are at a very high level and don’t affect people at our level in our daily lives…yet. There will come a time when it does…and it will be bad. But, that time is not yet. Go about your daily life giving thanks for the blessings you have. Be grateful for and enjoy the time you can spend with your family. And go outside and do something as something as simple as take in the beauty of a blue sky morning. Be prudent, prepare, but don’t panic. Panic will do you and no one else any good. What I want you to do is to listen to that little voice inside of you…and follow it. Listen to its promptings, its quiet whisperings, and allow it to guide you in doing the important things in your life. You need to. We are sinking further in debt. We are sinking further into political chaos. We are sinking closer to civil war. We are watching a coup take place to over throw the President of the United States. I have never been more pessimistic about the current state of affairs of our country as I am now. Even during the reign of the radical Marxist Obama we were never in such danger as a country. We are on the verge of losing our Constitutional Republic. Sure, I could be optimistic, positive, and I could say things are great, we have a great President, the market is up, jobs are growing, people are happy, we are heading towards making America great again. However, I would be both wrong and dishonest. America is in dire peril at this point. Politically we couldn’t be in more dangerous waters than we are now. President Trump is very close to being overthrown by a coalition of some of the most despicable, detestable, and dangerous people this country has ever known. And it is coming to a crisis point. Government debt continues to increase, even under Trump. This year the US will acquire at least another half-trillion dollars of debt. This is not sustainable in any known universe. Then you add another 100 – 200 trillion in unfunded liabilities on top of the actual debt and there is no possible escape. Public debt continues to increase. This is the total amount owed by all levels of government. That debt amount is well over 23-trillion dollars. Household debt has now returned to 2008 pre-crash levels. Total household debt now sits well over 12.5-trillion dollars. That amount grew by half-trillion in 2016 alone. 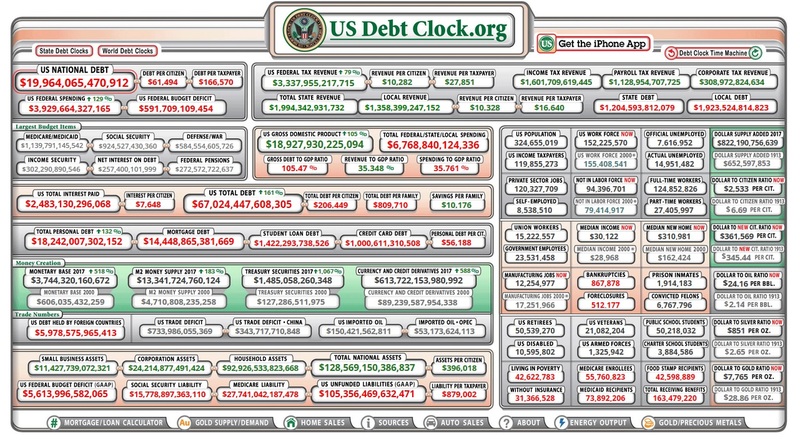 Combine the government, public and household debt amounts and you have nearly 36-trillion dollars…$36,000,000,000,000.00 worth of debt out there in our economy! No one…not a single person…can predict a positive outcome with that kind of a debt burden on a country’s economy. 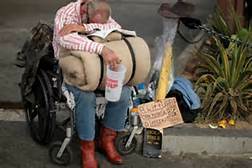 California tri-plan pension funds, by themselves, are over a trillion dollars underfunded. That means it would take a one-time contribution of $90,000 per California household to bring it just to the break-even point. But, starting the next day the pensions would once again be underfunded due to employee and government contribution shortfalls. A New York teamsters pension fund ran out of money last month. Ten more teamster funds have applied for permission to reduce payments to retirees. Hospital pension plan in New York has failed as of March 6th. The Dallas police and firefighter pension fund that I began reporting on last year is done. They had record bulk withdrawals from retirees last year that had to be halted by court order. Then they went into negotiations to stabilize the fund. Those negotiations failed. As of last month…the fund is now insolvent. Economic experts are calling the pension fund crisis a “tsunami” and that tsunami has started…the dominoes are falling. State and local government pension plans are underfunded by well over 5-trillion dollars. The top 25 corporate pension plan alone are underfunded by a quarter-billion dollars. Exactly how do you think the “underfunded” amounts are going to be handled? I’ll tell you…either the retirees will lose their benefits or taxpayers will pick up the tab. Either way the economy gets stuck with another multi-trillion dollar bill! Add the 15 – 20-trillion dollars that pensions are underfunded to the previously mentioned debt problem of 36-trillion dollars. Now we are looking at an economy that has a $51,000,000,000,000 – $56,000,000,000,000 sinkhole waiting to crash it all in. How in the world does anyone…and I mean anyone…see any way out of it? Well, any way out that can be close to defined as non-catastrophic? No SitRep would be complete without a discussion about politics. Let’s do an easy summary…President Trump is in big trouble. He is a terrible politician. He is losing. As I mentioned in my last SitRep he has a vast political coalition working against him. 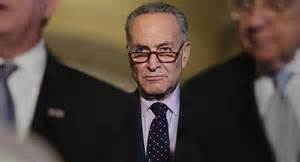 The man in charge of Democratic Congressional effort to overthrow President Trump is Chuck Schumer. 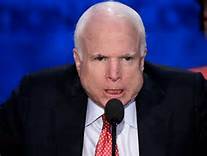 The man in charge of the Republican Congressional effort to overthrow President Trump is John McCain. The man in charge of the civilian effort to overthrow President Trump is Barak Obama. 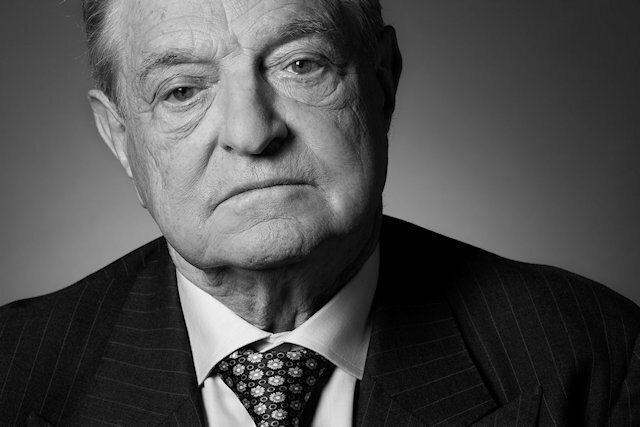 The main person coordinating the financing of the effort to overthrow President Trump is George Soros. 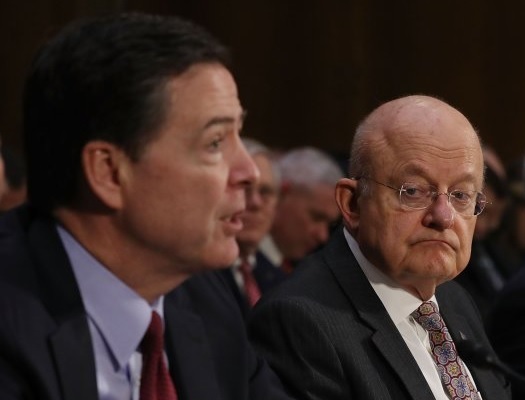 The people in charge of the secret police (FBI, CIA, and NSA) effort to overthrow President Trump is FBI Director James Comey and Director of National Intelligence James Clapper. But, notice my use of the term “overthrow”…that would indicate something other than simple politics. Something far more sinister…and it is. Over the weekend Trump made the accusation that he, along with the entire Trump Tower (meaning his staff), was wiretapped at the order of President Obama. Let’s face it…it is either true or not. It’s that simple. If it is not true…then why would Trump make that accusation? If the secret police didn’t target him for wiretapping it will be discovered and then Trump will have lost all of his credibility. Would Trump want that? Would Trump’s enemies want that? If Trump was not wiretapped, why would Trump make that accusation? But, is it true? How else would have the secret police been able to leak to the press all the Trump and staff phone conversation content that they have? If it is true (which I believe it to be)…then we have a Constitutional crisis on our hands the likes we’ve never seen before. First of all let’s establish one thing right now…the FBI, NSA, and CIA illegally wiretap (eavesdrop) on American citizens all of the time. That fact has been proven beyond a shadow of a doubt. The FBI has been a political arm of the government for decades. And that as well has been proven true beyond any shadow of a doubt. Many Presidents have used the FBI as a political operative tool. Obama used them to attack the Tea Party groups, Patriot groups, and pro-Consitutional groups in conjunction with the IRS. The FBI relished that opportunity and they have a long history of anti-American deep state work. The CIA and NSA are even worse. There are already claims that “if” it is true it may have been done through the FISA court. Let’s clear this up right now…I have written extensively on the FISA court…it is 100% unconstitutional, illegal, and nothing more than a self-justifying tool used by the secret police agencies in the US (FBI, CIA, NSA, etc.). There is ZERO basis or allowance for a secret court system in the Constitution. Actually, it goes much further than that, the Constitution specifically disallows anything that even remotely resembles a FISA court system. It is the antithesis of everything that our Founding Fathers believed in. The FISA court system is a direct import from the darkest parts of the old Soviet Union and other totalitarian states. Shadow government -deep state- exists. The secret police agencies (FBI, CIA, NSA, etc.) have all become totally corrupted and are working to install a totalitarian state. There is actually a coup to overthrow Trump and our Constitutional Republic. This isn’t simple politics we are talking about. We are talking a well-coordinated, well-funded overthrow of the President of the United States by the political class and ruling elites. I have been warning specifically about this since last year. The left-wing radical extremists (democrats/liberals/progressives/RINOs) don’t want Trump because he is a successful capitalist. The Republicans don’t want Trump because he is not one of them…not part of their club. Libertarians (civil-society and purists) don’t want him because Trump advocates for some liberal/progressive polices and programs. Some true-believer conservatives don’t want him for the same reason on top of the fact that Trump is a big-spending advocate. But, the largest and most dangerous group of people that don’t want Trump as President are those I refer to as “shadow government.” Others refer to the same group as the “deep state”. And the country’s secret police agencies (FBI, CIA, NSA, etc.) fall squarely into this category of shadow government. And remember, regardless of what you call them, they have only one goal – a totalitarian state where the federal government is in control of everything…including virtually every aspect of a person’s life. The situation we have now is unlike any other we’ve ever had in the history of the US…a coalition of evil deeper than it has ever been. You have all the political groups mentioned above, multiple anarchist groups, and the shadow government all working with a common goal…to overthrow President Trump. Remember also, you now have former CIA and NSA leaders coming out and openly disparaging the President and calling into question everything about him…including his suitability to be President. They are working this attack in coordination with the current secret police leadership. However, and that is a very big however, the real problem is not the overthrow of Trump…it is what comes after him should he be overthrown. Never would our country be more vulnerable to a complete change, a transformation, than a power/leadership void, a vacuum, left by the ouster of Trump. The Constitution clearly outlines that the President would be succeeded by the Vice-President. But, I question if that Constitutional process would actually be followed. Wouldn’t the country be the most vulnerable after the first true coup-based overthrow of a President? Yes, it is serious enough to use that term. I wrote about it in my last SitRep…there is an active coup against Trump taking place right now. Really? The UK Express reports, including evidence, that senior Republicans are part of the coup against Trump. Former AG Eric Holder admitted that there is a coup taking place against Trump and that Obama is one of its leaders. Bryan Dean Wright, CIA intelligence officer, claims –with no qualification– that there is a coup taking place within the intelligence community against Trump. John Schindler, CIA operative, states categorically that there is a coup taking place against Trump…and that he personally supports it. Even Rush Limbaugh admitted late last week that a coup is taking place. And yes, there is even more evidence that a coup is taking place, it is all over the media. My military contacts tell me that there is talk of it amongst some of the military commands as well. No, don’t worry about the military being a player in a coup. At least not at this point. The discussion taking place that I am referring to is how to prevent certain members of the military from taking part in the coup. Before I give you my final thoughts on the coup against Trump I want to talk about the possibility and probability of a coup occurring. Possible means is something is able to be done, the power or capacity to make something happen. Probable means the likelihood of something to occur. 100% possible that a coup is occurring against Trump. 100% possible that a coup can be successful against Trump. 100% probability that a coup is taking place against Trump. 60% probability that a coup against Trump will be successful. 35% probability that the coup against Trump will turn violent. Once again…there is only a 35 – 60% probability that the anti-Trump coup taking place will directly affect you. But, if it does it could range from a mild disruption of services to an attempted implementation of martial law due to wide-spread violence. And that martial law implementation, in some areas, could be violent as well. Once again…the #1 priority in any emergency, disaster, and especially in a grid-down is the ability to protect yourself, your family, and your community from violence. And that violence could come in the form of mobs, gangs, or an attempt at police state martial law. It is vital that you have the ability and wherewithal to provide sufficient defense to prevent harm coming to your family and/or community! After the ability to protect against violence, comes anything and everything that you can do to be as independent of the “system” as possible. Understand this…to accomplish the above you must band together with other like-minded people. Failure to do so will result in the failure of you and your family to have a positive outcome to what has a high probability of falling at your feet. I hope you take me seriously. I have been laying out this case for quite a while now. We see it coming closer to fruition every day. We see the violence on the upswing. We see the politics getting uglier. We see the secret police becoming more involved. We see the coup leadership openly admitting their involvement. We see their plans being carried out every time we watch or listen to the media. THIS IS HAPPENING AND IT IS HAPPENING RIGHT NOW! If you asked why I talked about the economy earlier in the SitRep here is the tie-in…the usefulness of a market and economic crash. The market and economy could be used as a tool to bring Trump down. It could also be used post-coup to implement wide-ranging transformation to the US…read that as implementation of a totalitarian state. What better motivation for citizens as a whole than a market/economic crisis of huge proportions to convince people that changes are needed? Sheep to the slaughter. People crying for law & order, pleading for safety and security. The weak populace accepting anything to meet those needs. But no, you shouldn’t panic. PLEASE do not panic. Panic and fear will prevent you from making sound and rational decisions. Remember there is still a 40% probability that the coup will not be successful. And, an even greater possibility if it is was successful, it wouldn’t directly affect you immediately or violently. 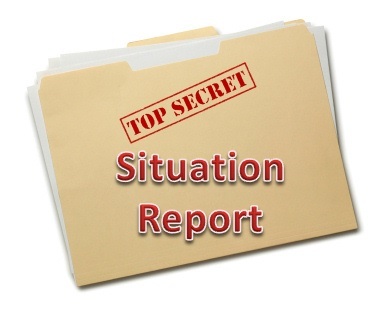 Raise your Situational Awareness of what is happening and why. Think through multiple scenarios of what could happen to you, your family, and your community should the coup prove successful. Especially scenarios if it turns violent, whatever reason. 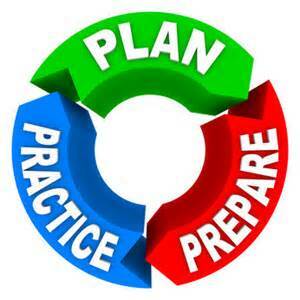 Compare your preps to the scenario outcomes that you have developed. Work at –do something– to offset the negative impacts of those outcomes. In other words, reduce the probability and/or severity of those outcomes on your family and community. This is not the time to lose your head. This is not the time to flee to your cave. This is not the time to scream “Doomsday!” to your family or neighbors. But, all evidence clearly points to the case that we are in the most perilous of times that our country has ever seen in modern history. Never have the forces of evil, pure evil, aligned themselves with each other to take down our Constitutional Republic. Only individuals, at the individual level, can make any difference now. It is about the individual and the things they do…or don’t do…to prepare their family and community for what is coming. If you would have an idea for an article or a specific question that you would like me to address then please use the form below to send that idea to me. note: some minor editing was done on 1/15/2019 to correct spelling and grammar, and improve readability. This is an ugly SitRep and I don’t like what I wrote. Unfortunately I believe it all to be true. I have acquired information, some public, some private, to put this report together. But, in the end it is opinion of what I believe is happening. If you have some other plausible explanation that is based in the facts I would love to hear it. What the National Security Advisor did, or didn’t do, is really not of any major consequence or of concern to me. The Logan Act states a private citizen can’t conduct diplomacy with a foreign government. Did Flynn conduct diplomacy as accused? I have no earthly idea…and it doesn’t matter one bit to me. He either did or didn’t, if he did then prosecute. If he didn’t then he was railroaded. The real point to the controversy surrounding Flynn was his stance and knowledge concerning America’s intelligence community and an aide’s security clearance. Flynn was no lover of the security agencies; the CIA, FBI, & NSA. He knew of their dark ops, he knew of their anti-Constitutional activities, and he was willing to do something about it. That puts, literally puts, a target on his back with the agencies all taking aim. 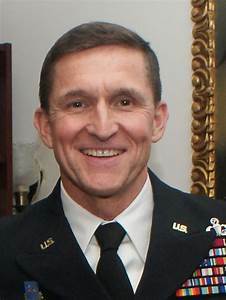 A serious dot to connect – Several days prior to the hit job on Flynn really gaining public attention an aide to Flynn (Robin Townly) was denied a SCI clearance. And that is the key aspect to all of this. Interesting, Townly is former military, worked in military intelligence, and still had a current Top Secret clearance. Townly also knew about the CIA, FBI, and NSA black ops. He too knew how dirty those agencies are. Then for some unknown and unspecified reason the CIA denied him the clearance, which keeps Townly out of National Security Council organization. Thus, preventing any role in the draining of the agencies’ collective swamp. Flynn was destroyed by the FBI, CIA, and NSA purely for his connection to Trump. In other words…politics. Remember over and over and over again the nation’s secret police (FBI, CIA, & NSA) have denied that they capture phone calls, emails, text messages, etc. of US citizens. 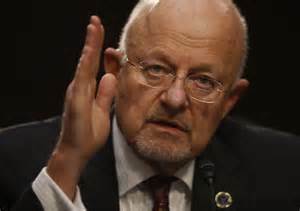 Of course people like James Clapper, former National Intelligence Director, as well as FBI, CIA, and NSA leadership have repeatedly lied, not just to the US public, they have outright lied to Congress while under oath on multiple occasions. However, the Flynn scandal revealed conclusively that the US secret police do in-fact capture every piece of electronic information of all US citizens. And, all of the detail information (i.e. content) is available to the secret police for whatever purposes they so desire…including mounting a campaign to destroy a member of the President’s administration. I have been warning people for years about the outright evil of the FBI, CIA, and NSA, that it is deep and wide. I have shown over and over that those agencies have been lying to us about their activities about conducting illegal, anti-Constitutional, and un-American operations for decades. And one more side of this…the secret police continue to spy on members of foreign governments. This was proven to be true beyond a shadow of a doubt because the person who Flynn talked to on the phone was the Russian US Ambassador. Not that long ago it was revealed that the US secret police were spying on all foreign government leaders…even our closest allies. Well, it has been proven 100% true that they did…and still do. How ironic that the media is promoting the story that there is a Russian spy ship traversing international waters off the east coast of the United States. Moreover, there are politicians that are worried about it as well and voicing concern. Well, how hypocritical of us to be condemning the Russians for doing the same thing to us that we already do to the entire world! Let’s talk about “leaks” regarding Flynn and other issues surrounding the President’s administration. First, let’s get it straight…there are no leaks. Nope, they are not leaks. What you see happening is a well-coordinated attack against the President of the United States by the dark three that make up the so-called intelligence services. More correctly, more accurately, they should be called “the secret police.” The secret police is a combination of the FBI, the CIA, and the NSA. The FBI is the domestic arm of the secret police and responsible for running dark operations against US citizens. The CIA is the international arm of the secret police and responsible for running dark operations against all international countries and their citizens. Both the FBI and the CIA are the militarized soldiers part of the secret police operation. The NSA is a huge network of intelligence gathering capability, almost exclusively electronic. The NSA does not maintain militarized forces as does the FBI and the CIA. All three agencies have a single goal…an ultra-strong police state. Some, such as myself, would call it a “totalitarian state” since it is a police state run by an absolute authoritarian government where individual rights, liberties, and freedoms are virtually non-existent when it comes to secret police agencies. The CIA was formed from the OSS. The OSS was the CIA by a different name, their original name. The OSS was created by the socialist president Franklin D. Roosevelt. The leftist president later changed their name to the CIA. In 1961, the CIA conducted the Bay of Pigs, it failed miserably. President Kennedy saw the CIA for the dark ops organization that it was. Kennedy went on to say in an interview he wished he could disband the CIA and began to initiate policy changes to do so. He was assassinated shortly thereafter. President Reagan ran afoul of the CIA in regards to Russia, specifically about their PM. President Reagan overruled the CIA. Shortly after there was an attempt on Reagan’s life and he was shot multiple times. The FBI was first called the Bureau of Investigation and created in 1908 by radical Progressive president Teddy Roosevelt. Their name was changed to the Federal Bureau of Investigation (FBI) in 1935 along with a substantial change in mission, adding violent tactics that resulted in the deaths of many people. The person responsible for the name and mission change…another radical Progressive extremist president Franklin D. Roosevelt. And to top it off, FDR and Teddy were cousins. The first director of the FBI, Hoover, was an infamous anti-Constitutional advocate, police state proponent, and radical Progressive. He set the standard within the FBI to develop files on politicians to be used as coercion and outright blackmail (including against presidents) to grow the power of, and advance, the FBI agenda. In addition, until very recently the FBI still maintained “shoot on sight” orders. That type of order led to a long list of FBI hits along with the killing of a mother and child which is now known as the Ruby Ridge Massacre. No FBI agent or leader was ever disciplined for their actions let alone sent to prison for that killing. Actually, all involved in the Ruby Ridge Massacre were promoted as a result of that mission. Same thing occurred with the FBI leadership of the Waco Massacre when the FBI was responsible for a fire that burned to death 78 men, women, and children. When the FBI participated in the assassination of Levoy Finicum they were caught in a lie and subsequent cover-up. No agent was disciplined, let alone sent to prison for lying to investigators…and murdering a man in cold blood. The NSA was formed in 1954 by the Progressive and war-loving globalist president Truman. The NSA repeatedly stated that they only collected “macro data” and they never collected entire phone calls, text messages, emails, etc. Repeatedly they have been exposed as having outright lied about their illegal activities. We know clearly and conclusively that they collect every single bit of electronic communications within the United States…including collecting personal and governmental communications of politicians and even White House/Administration staff. The information that the NSA collects is 100% available to either the FBI or the CIA for their dark ops. They were all formed by radical Progressive presidents who believed in and advocated for a totalitarian police state. The agencies’ founding leaders were Progressives and advocated for and promoted a police state. Neither the presidents who ordered their founding or the agency’s initial leadership were Constitutional advocates. Actually, to the contrary, all the founders viewed the Constitution as a hindrance to furthering their goals, and actively and repeatedly violated the Bill of Rights. Most of all…none of the three arms of America’s secret police are authorized by the Constitution. None, not a single one is authorized under the Constitution. There were no leaks that brought down General Michael Flynn, it was a well-coordinated operation by the FBI, CIA, and NSA. But, Flynn was not the target, he was a useful bystander. The target is President Trump. In many respects President Trump sees the agencies for who they are, not their glossy public relations image. He openly criticized them, and rightfully so. Hence the war between Trump and America’s secret police…FBI, CIA, and NSA. And I apologize for using the term “war” because that does somewhat trivialize the matter. The FBI, CIA, and NSA are conducting a coordinated operation to overthrow the President of the United States of America…plain and simple. It was revealed yesterday that the agencies are not giving the President full intelligence briefings. Yup, that means the FBI, CIA, and NSA are intentionally and willfully withholding vital intelligence information from the President of the United States. It what universe is that acceptable? However, based on the long history, as well as the founding, of each agency it should come as no surprise to anyone concerning their current actions. Well, there will be some that are offended by my statements. Those people will be employees of the FBI, CIA, and NSA as well as their family members and friends. I can just hear it now, “Impossible! I’ve known [fill in the blank] for years and he is a loving father, patriot, great neighbor and he works for the FBI.” Or, “My [fill in the blank] works for the NSA and he is the most dedicated husband, father, and church man I’ve ever known!” So what? You have to move beyond the bias, beyond the flashy agency PR, the government coordinated propaganda and see the facts for what they are. Oh, come on! Do I seriously have to go into that? You know what the endgame is. The agencies that I have mentioned only want one thing…a police state…a very, very strong police state where they have absolute and total control over every aspect of a citizen’s life. But, we know it by its proper name, a totalitarian state run by an absolute authoritarian government where and individual’s rights, liberties, and freedoms don’t exist. In either situation, the average citizen loses their rights, liberties, and freedoms to be subservient to the federal government. And, if you objectively review the last 130 years since the founding of the Progressive movement, along with the establishment of the FBI, we have steadily lost a vast amount of those individual rights, liberties, and freedoms. And paralleling that, we’ve seen huge upswing in governmental power and even the militarization of police at the most local of levels. No. The secret police are not alone in this effort. They are working in conjunction with the broader Progressive movement. This coalition includes the political arm in Congress, Democrats led by Chuck Schumer, and RINOs led by John McCain. The bureaucratic element led by federal employee union leaders. The propaganda arm is well-known to be the mainstream media outlets of cable, TV, and newspapers. The civilian activist arm is a loose coalition of organizations such as the New Black Panthers, Black Lives Matter, and a host of other radical violent leftist organizations. Of particular note is the Organizing for Action, a group of radical Marxists and increasingly violent left-wing extremists led by Barack Obama. And of course the chief financier of most of it is George Soros. Some conservative media personalities and others refer to this broad collection of groups and agencies as the “shadow government” or “deep state.” I can’t disagree with their terminology because the goal of all of it is to replace our current Constitutional Republic form of government with a democracy so they can more easily move the USA into a totalitarian form of government where the populace is completely subservient to the government. From a “direct impact” perspective probably nothing…for now. This battle is being fought in Washington DC among the ruling and political classes. There should be little to no fallout on an individual if you are not participating in the coup…unless maybe you are reporting on it or bringing it to the attention of the wrong people. What? Yes. I mean simply if you would discuss these things with a friend that also works for the FBI, or maybe a relative of theirs, you will get a note made in your secret police file. And yes, you already have a file with the secret police…all Americans do. Some thicker and more detailed than others…just ask Gen. Michael Flynn. I am serious…I know this to be a fact, those files exist. I don’t think that there is an imminent threat to the average person or even a threat to “the grid” that I can see at this time. 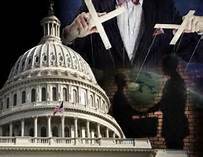 The shadow government already runs Washington and knows how to deal with non-cooperatives like Flynn and Trump. Should the dark side feel they are losing (i.e. about to be defeated) then look for a major grid-down event. And remember, most open and violent coups contain elements of grid disruption. Generally the same things you are already doing. However, I would suggest looking at your preps in the area of protecting yourself and family from violence, first aid supplies and training, as well anything that allows you to be as overall independent from the grid as possible. But, I would say the #1 thing that you must be doing is staying situationally aware. In other countries where the government has been overthrown there have always been signs that it is coming. The very same signs that we are seeing here in the US. You must keep your eyes open to see the signs as they appear. And they are appearing almost daily now…and they are serious. Yeah a “summary”, as if you need one. Let me be perfectly clear…the US secret police agencies (FBI, CIA, & NSA) are unconstitutional entities. They were established by radical leftists Presidents who actively sought to convert the US into a police state. Those agencies are actively subverting Trump as President of the United States. They are actively and aggressively attempting to overthrow Trump as President of the United States. Should that fail those agencies will finish what they started…the overthrow of the government…any way they have to. We are in the most perilous times in the United States, at least since I’ve been alive. The Civil War, and FDR’s attempt to turn us into a socialist country, are the only other two domestic events with the same potential as what we are currently in. 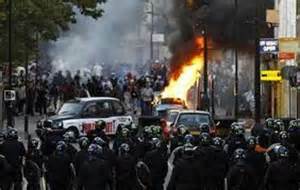 Do not underestimate what is happening and the potential for it to change rapidly into an openly violent situation. The only thing more sad is the number of people who see themselves as patriots and/or conservatives and/or Republicans that will get caught up in all of this on the wrong side. The wrong side of history. They will blindly follow the call for “law and order” and “safety and security” right into the implementation of the police state. These folks have been deceived in thinking that giving up some liberty for safety is acceptable. It isn’t. You end up with neither. God help us! Please, we need it now more than ever. I’ve been watching the events of the last couple of weeks very closely and I knew something was unfolding. Now I am convinced. I started to call this post a “Warning!” but then decided against it because the potential for a violent outcome to individuals still seems fairly low to me so I changed it to just an “Alert”. Although I feel both the probability and possibility are very high. So exactly what I am referring to? Ah, that is a great question. Please remember and take into consideration…this is only my opinion based on the facts and evidence that I am seeing. There is a very specific threat that has formed and it entails Trump, the intelligence agencies, the ruling class, and the media. I think we are seeing the groundwork laid for either an assassination attempt, a soft coup, or the foundation of Trump’s future impeachment taking place. The CIA has been an organization working against Constitutional principles since its very foundation. The CIA is a dark ops group. They are mandated to operate solely on foreign soil, but reports over the last couple of decades have revealed they regularly operate on US soil…against US citizens. They are trained to disrupt elections in foreign countries and/or influence them in favor of the US. They are also well-trained to overthrow, violent or otherwise, governments of sovereign nations. Along with being drug dealers they are also some of the best trained assassins in the world. But, most of all…they are the best trained masters of deception in the world. In other words…they are everything decent people, people of morals, ethics and character should abhor. The NSA has one of the most checkered and dark reputations of any US intel agency. They have conducted numerous surveillance operations against US citizens over the last 15+ years in direct violation of the law and Constitution. They operate with virtually no legal or Congressional oversight allowing much of their operational activities to go unmonitored, unsupervised, and wholly outside of the Constitution. The FBI’s reputation is well known and well documented. They are nothing more than a dark ops agency to accomplish two things; 1) act as an enforcement arm for whichever political party is in power, 2) grow and ensure the power of the federal government. They have conducted horrendous acts of political subterfuge over the years to influence elections and destroy political enemies. This has been thoroughly documented even as late as the last eight years where the FBI worked closely with the IRS targeting conservative and constitutional groups in direct violation of the law. But, all of that activity pales in comparison to the FBI’s record of death. Whether it is the murder of a restrained suspect in custody, to the murder of a wife/mother and infant, to the burning to death of nearly 80 men, women, and children. They latest example of their death squad activity was the murder of Levoy Finicum last year. Not only did they plan and lead the fatal ambush, they attempted to cover-up their participation when it was discovered that FBI agents lied about what happened. The Director of National Intelligence, while only a relatively recent government position, is quickly becoming the man behind the curtain. In this case, James Clapper. This man is one of the most powerful men in America at this time…and he is using his power and position for unbelievable acts of evil. He has removed himself from any and all oversight of Congress. He has repeatedly lied to Congress or withheld vital information relative to Congressional inquiries. And, he is still serving in that position let alone not in prison. Clapper has proven over and over again he is working in direction opposition to not only the best interests of citizens, but in direct opposition to the Constitution as well. What do all of these agencies have in common? None of them are authorized by the Constitution. So, why do they exist? Ah, that is another great question. The Ft. Lauderdale airport massacre was at the hands of whom? According to the government and law enforcement agencies it was a mentally ill, Puerto Rican, veteran, gun nut, suffering from PTSD. But, is that true? Let me ask this question first…Why was Senator Bill Nelson (D-Florida) the person to first identify the gunman who conducted this the atrocity? Have you ever known of a sitting US Senator to be the first to name a shooting suspect ever in any kind of similar situation as this, and do it at a press conference? Not me. So, why him, why then? The White House was aware of who the suspect really was, the WH directed Nelson how to frame the suspect, and then to direct local law enforcement to go along with it. And it almost worked. The first day after the shooting I was receiving intelligence that the suspect was a Muslim and this was a planned terrorist attack. But, I couldn’t come out with any evidence proving it. Yesterday it was leaking out that the shooter was indeed a Muslim. Today we saw proof released that the suspect was in-fact a Muslim terrorist who was known by intelligence agencies. Yet another known Muslim terrorist living in the USA and the FBI and other intel agencies didn’t stop the attack. Kind of makes you ask…Are they that incompetent or is it something else? Trump won the election, so there was the scandal that the FBI won the election for Trump due to the Hillary email info released by the FBI days before the end of the election. When that didn’t change anything, then there was the push for multiple state recounts. When that didn’t work there was the “popular vote” controversy. When that didn’t work there was the Electoral College revolt attempt. When that didn’t work it was Russia influenced the election through hacking. When that didn’t work it was the Russia hacked the election in favor of Trump because Trump was the Russian candidate. When that didn’t work then it was this…the Trump pervert report that he was being blackmailed by the Russians. And in the middle of all of this Congress tried to investigate what was happening and what did the intelligence agencies do? They refused to answer questions by Congress and even refused to appear at Congressional hearings for a very long time. I kept going over and over all these seemingly unrelated events…dots if you will. At first I came to the conclusion that it was meant to discredit the election of Trump and set him up for failure. But, if that was the case, why not just swing the election results to a win for Hillary. When put that into context it became crystal clear what was happening. Let me put this back in your head, “Never let a crisis go to waste.” Remember that? This defining principle was inadvertently revealed by a mid-level player in the Anti-America Movement (AAM). He shed light on how they do business…by simply giving people what they want at a time when people are crying out for it. 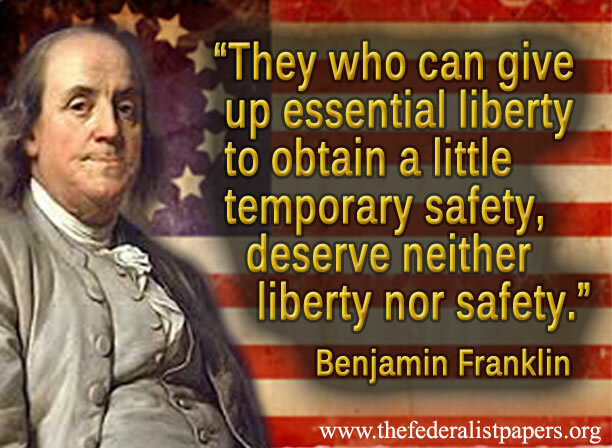 In the last 17 years it was been the demand by people for “safety & security.” So, the AAM folks gave us DHS, TSA, militarized police, and a whole slew of illegal, unconstitutional policies and laws that destroyed citizens’ rights, liberties, and freedoms. Let me connect the dots…Dems lost the election and even the slightest amount of political power in DC due to Republications now controlling the Presidency, the Senate, and the House of Representatives. But, if the Repubs, specifically Trump, is dealing with all-consuming controversies even his power is significantly reduced, if not negated. So, Dems are losing and Trump is caught up in turmoil and controversy. You have tremendous in-fighting within the Repub party. You have war-mongering Repubs like the degenerate McCain and Graham calling for war with Russia. You have many Dems joining in that call due to the election results at the hands of Russian hacking. You have Ryan and his Progressive co-conspirators ready to spend trillions and trillions of dollars in opposition to Trump’s plans. Everything is in complete turmoil…and we haven’t even touched on race relations and long list of other burning issues right now. I still haven’t really answered the question…who benefits from all of this? In other words…To whom does the money and power flow? Remember power is not created, it can only move. In virtually every case over the last 130 years power has moved away from individuals citizens and to an ever stronger federal government. Money is similar…money has been moving from the middle-class to the rich class and to the poverty class via the US government. Who leaked the info that swung the election away from Hillary? The FBI. Then who came out and said that they wouldn’t pursue Hillary? The FBI. Who came out with the report that Russia hacked and influenced the election? The Director of National Intelligence. Who produced the report substantiating that statement? The CIA and DHS. And when that wasn’t convincing enough who produced the report that substantiated the previous report? The FBI. And all of that without ever actually laying their hands on the allegedly hacked server! I believe that we are seeing a well coordinated, well executed covert operation by US intelligence agencies to create chaos. The short-term goal is to acquire more money for their collective agencies. Along with the money comes power. The medium term goal is clear…a totalitarian state. Doubt me? What happened to President Kennedy? The CIA convinced him to invade Cuba. Then the CIA subverted that operation and significantly weakened Kennedy politically. When Kennedy threatened to reform, if not disband, the CIA he was assassinated. Why Kennedy? It didn’t matter that it was Kennedy. Outgoing President Eisenhower warned us about the rise of the military-industrial complex which includes the ruling class and elites. Kennedy wouldn’t play along with their goals. The CIA destroyed him…literally. We then got President Johnson…the consummate political establishment insider who was 100% behind the AAM and overall goal of a totalitarian state. Marry the three concepts and what do all of the events add up to? We are seeing one of three possible events taking place; 1) assassination attempt, 2) a soft coup, or 3) the foundation of an impeachment proceeding taking place. Why? To move more money and power to intelligence agencies. And US intelligence agencies are nothing more than the oppressive boot for the AAM folks moving us closer to a totalitarian state. And, I do want to mention that in the coming days, maybe weeks, more information will come to light that substantiates what I am saying. This is a terrible time right now in America’s history…and most of us have no idea how truly ugly it really is right now. And yes, it will get worse. Normally at this point I would say, “Keep doing what you are doing and don’t panic?” That message is only half-applicable this time. The half that is completely applicable is “don’t panic.” This is not a call to head to your bunker and seal the door behind you. Ensure that your weapons and optics are 100% serviceable. You have plenty of ammunition on hand, batteries are new or fully charged. You have a sufficient number of good quality magazines on hand and that everything is easily accessed in a hurry. I would go so far as to suggest that you load a few magazines and store them with each of your weapons. Make sure your tactical kit is 100% ready for action. Check, update, and round-out all of your medical and first aid kits. Get them 100% up to speed and ready to be used. 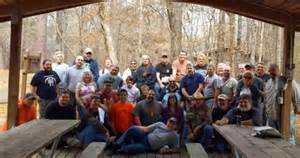 If you have a prepper group, meet. Talk about current events, come up with immediate action drills, SOPs, Communication protocols, etc. If you aren’t part of a group consider joining one or starting one. Organize along the lines of the Incident Command System. Check all of your communications gear and ensure that it is all fully functional. Finishing any programming that needs to be done. Check to make sure you have fresh or fully charged batteries ready. Lay in a supply of drinking water. I suggest a minimum of 20 gallons per person. Your hot water tank can serve as part of that. If you don’t have a highly portable water filter, get one. If you don’t have a volume water filter, get one. If you don’t have food storage, get some. Make sure you have sufficient food for a minimum of 90-days. I would highly suggest that you have 10 – 20 days low preparation, highly portable food on hand. Make sure you can live at your house for a minimum of 30 days without power, water, or sewer services. Make sure that you could leave your home and take the essentials of survival with you. Why do I feel that this is so vital and important at this time? I feel an event horizon is 95%+ possible and 90%+ probable. That is the highest that I have ever rated the potential of something like this. The only real question that I have is the potential for a violent affect on the average person. I can’t quite get a good feel for that in this case. What I mean is…I don’t think the average person’s life is imminently threatened by any of the three potential events that I see happening. I could be wrong and I am sure there could/will be exceptions, but, I think the average person won’t be the victim of violence due to any of the three. But, I could be very wrong. If all goes as the intelligence agencies plan the average citizen will not even recognize what is happening. We will collectively just enjoy the next basketball game or Dancing with the Stars episode. However, if something goes wrong with their intended plan, it could get very ugly. And then there is the wildcard…the psychopath Obama coming to the end of his term. And once again, as I started out this article…this is only my opinion based on the facts and evidence that I am seeing.